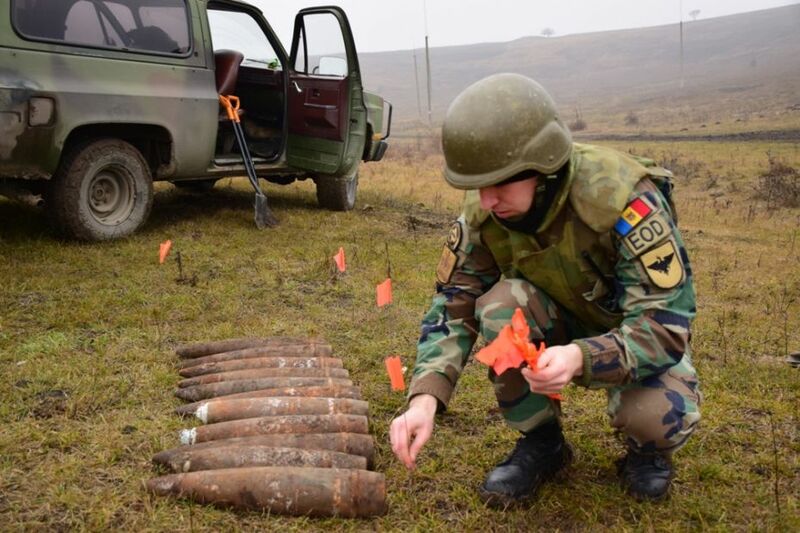 On Tuesday, the National Army chiefs neutralized 22 explosive objects at the Military Training Base of the National Army. 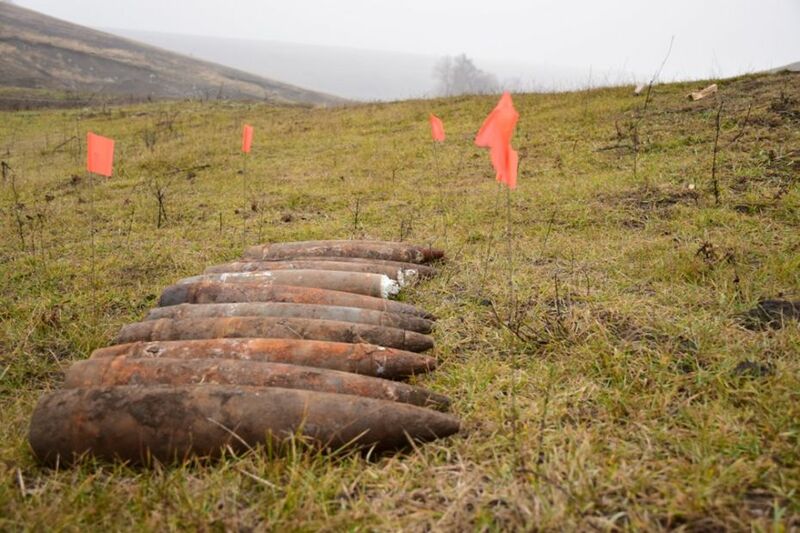 According to the head of the genius service, Lieutenant Colonel Adrian Efros, 100,000-caliber artillery shells from the Second World War were discovered by the locals in the forest near the village of Hrbovăţ, Anenii Noi district. 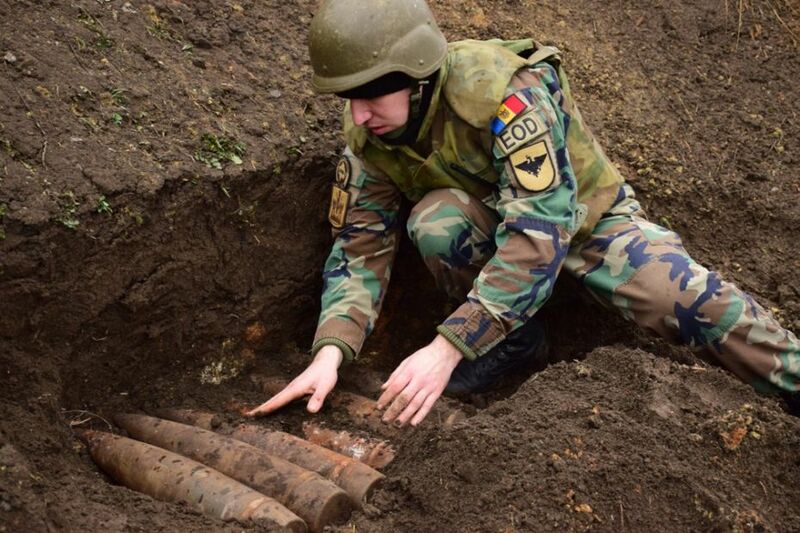 Lieutenant Colonel Efros specified that the works were carried out by the Gendarmerie Military, led by Lieutenant Major Ion Golovei. They carried the objects to the polygon to be destroyed with maximum safety. This is the time when everyone analyses the events of the passing year and makes the New Year’s resolutions. Moldova.org will do the same. 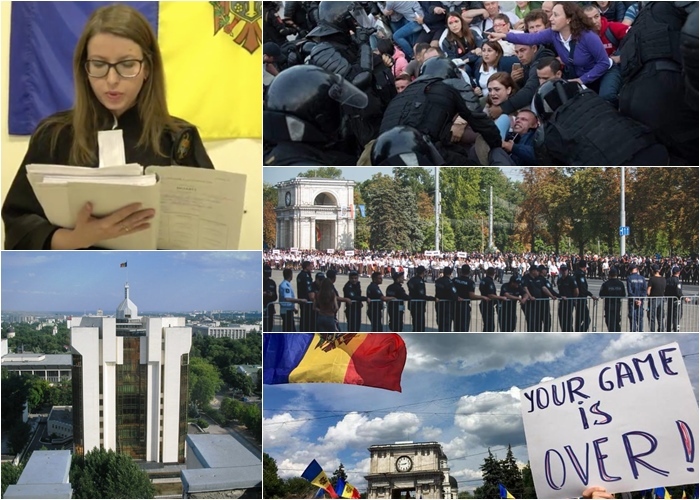 So, here are the most important events that happened in the Republic of Moldova in 2018. 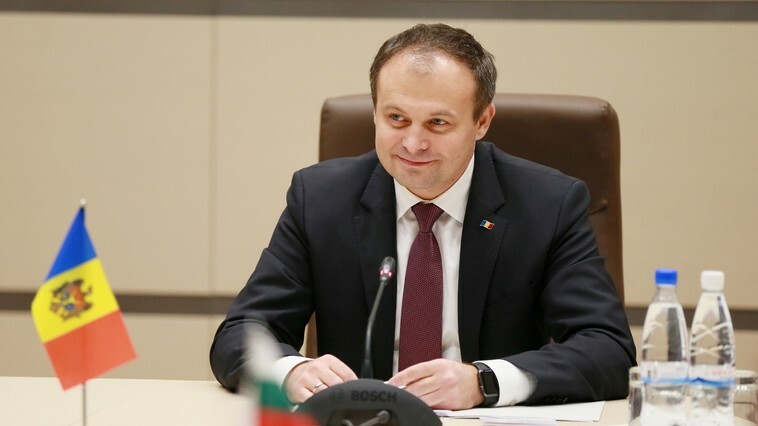 A new year, the old procedures: Igor Dodon, the President of the Republic of Moldova was suspended several times as he refused to sign the presidential decrees proposed by the government. People were asking themselves: “why do we need a President that can be replaced at any time?” No answer came. People got to know that the Presidency of Moldova’s reconstruction was going to be financed from a 7-million-euro donation made by the Turkish government. The cost for this donation was to be revealed later. Moldova experienced a new wave of power usurpation through the refusal of the Central Electoral Commission to register an initiative group that had as its main goal the abrogation of the mixed electoral system. The middle of the year was marked by the most booming court decision – the decision of the Court of Appeal from Moldova by which the municipal elections in Chisinau were declared invalid, motivating that Andrei Năstase and his opponent, the Socialist Ion Ceban, called for mobilization to vote on election day, on social networks, this being qualified as electoral campaigning. The invalidation of the municipal elections in Chișinău had as a major consequence the organisation of mass protests. The protestants urged the Parliament to take measures for validating the local elections in Chisinau, to dismiss and bring to justice the judges who decided to invalidate the elections in the capital city and to cancel the mixed electoral system. 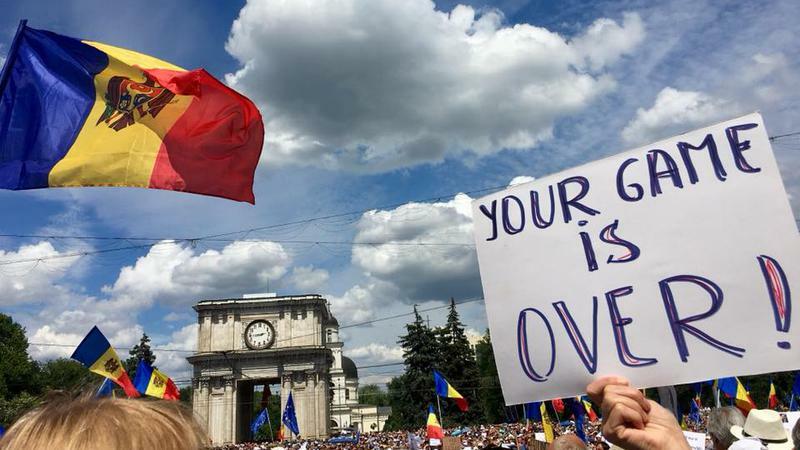 The most important and, in the same time, shameful event of August were the protest organised by the Political Party “Șor” on the 26th of August. It was organised purposefully on the same day with another anti-governmental protest led by the extra-governmental opposition – the PAS and DTPP. 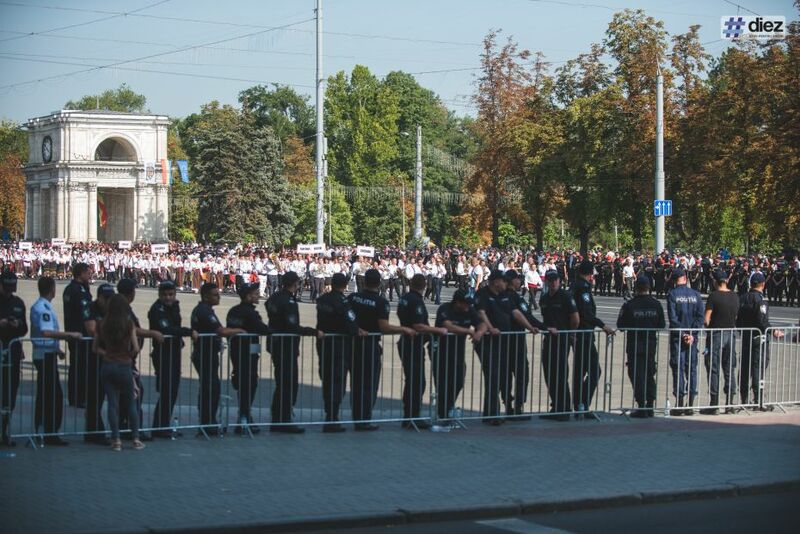 The main square of the Moldovan capital was split into two by the police. On one half of the square, people were asking for the dissolution of the current parliament and the resignation of people holding key positions in the judiciary system. On the other half, the so-called protestants were demanding for buckwheat and more canned meat, while dancing and having fun. 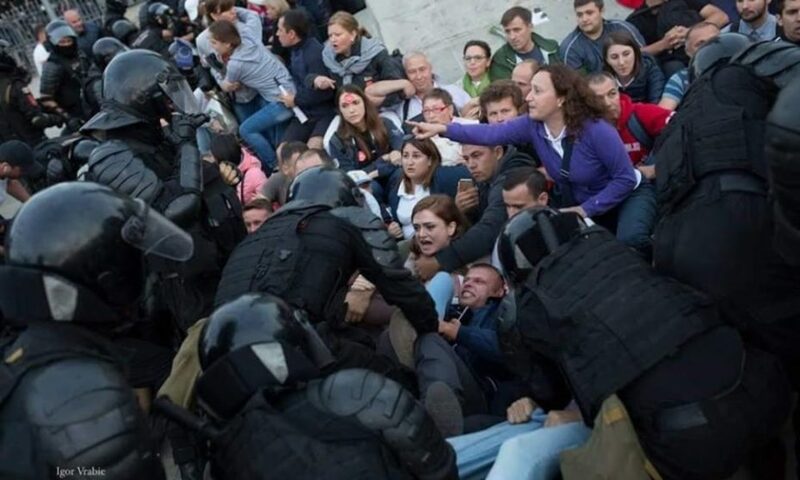 That was the most representative and desolating image of the society’s dispersion in Moldova: those driven by the wish of change and those consumed by physical cravings. The next morning, the riot police forcibly removed the anti-governmental protesters who spent the night near the symbolic statue of Stephen the Great on the main square, after they had ordered them to vacate the area to make way for government officials. Among the protesters were the leader of the Party of Action and Solidarity – Maia Sandu and the leader of the Dignity and Truth Platform Party – Andrei Năstase. Generally, the day of August 27th, the Independence Day of the Republic of Moldova can be declared the saddest day of the 2018, as that was the day when the Moldovan government was literally the farthest from its people. On September 6th, 7 Turkish citizens teachers of the Moldovan-Turkish high school network “Orizont”, were expelled or extradited (the governmental institutions still can’t explain what that act was, as the declarations were contradictory) by the Moldovan Information and Security Service (SIS), packed in a plane and sent to Turkey where they might have been the subject of torture. According to the lawyer of the Turkish citizens, they were removed from Moldova with another identity and sentenced in a prison next to Istanbul. Some opinions stated that the Turkish teachers were “sold” to the Turkish government for the sum donated for the Presidency building reconstruction. There are still positive events that happened in 2018. 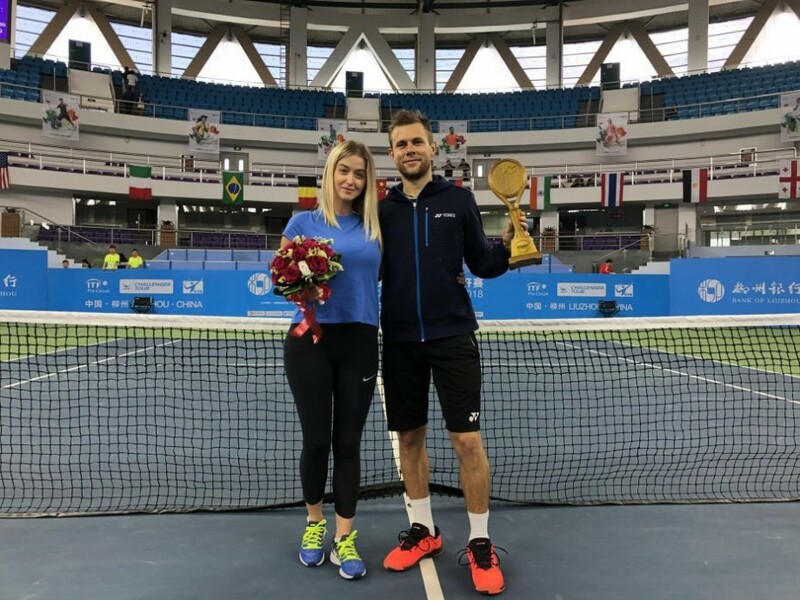 In October, for example, the Moldovan tennis player Radu Albot became the winner of the Liuzhou Challenger Competition. The “Liuzhou International Challenger 2018” was held from 22nd to 28th October 2018 in China. Moldova has made one more step towards becoming a “grey” area were illegal assets could be legalized and money laundering is possible. Thus, the adoption of the Capital Amnesty law and the Citizenship by investment law could facilitate the legalisation of the extracted money from the Moldovan bank system in “The Great Moldovan Bank Robbery” and could attract new financial sources from people that want to “buy” the Moldovan citizenship. On December 1st, Romania and the Republic of Moldova celebrated 100 years from the Great Union. Whereas Romanians celebrated this day with parades, manifestations and concerts (this day is a national holiday in Romania), Moldovans were silent, melancholic and divided between east and west. Just like always! The best is not yet to come: in February 2019, the Moldovan citizens will decide who will represent them in the parliament and in the national uninominal constituencies, as a result of the mixt electoral system. The election campaign has just begun. The political parties are preparing for one of the most unfair and unpredictable elections in the history of the country. The film is based on the novels “The Lord of the Rings” and “The Hobbit” by J.R.R. Tolkien. At this time, the film is in the post-production phase: working on character animation and location modeling. The first ever fantastic short film produced in Moldova will be called “Precursors of the Storm”, reports locals.md. A group of enthusiasts from different countries are working on this film since 2015. Among them: director Maxim Baraliuc, producer Serghei Budici, and Vladislav Oleinicov, specialists in 3D – Sergei Chirilov, Ghenadii Dochien, Evghenii Cernyshov, Vladimir Taukchi, composer Vladislav Sokurenko and Imagine Music. According to producer Sergei Budic, the production of the film costs 12,000 euros, all money having been gathered from people working on the film. “We are still in need about 4,000 euros,” the film producer said. The Russian Federation is systematically involved in the internal affairs of Moldova and Ukraine, and in order to destabilize the situation, it resorts to cyber attacks, as well as providing financial support to our proletarian parties. A statement in this regard was made by Parliament Speaker Andrian Candu on a televised show during his working visit in the US. According to Candu, Moscow’s involvement in the internal affairs of Moldova and Ukraine is increasingly evident, especially since the elections will take place in the two countries early next year. “One of Russia’s weapons is the media. Through mass media, Moscow is doing propaganda. Another method used is Moldova’s dependency on Russian gas. Moscow is also involved in the region that is not controlled by the Government of Chisinau. I mean to the Transnistrian region, a busy territory where Russian troops are stationed,” the Chisinau official declared. The President of Parliament believes that in order to meet these challenges, Russia needs unity. “R. Moldova, Ukraine and Georgia have to join forces and work together against these challenges. Equally important is the support that these three countries have from the United States and the North Atlantic Alliance,” said Candu on the show. The official added that the US should remain as involved in the region as possible. “If we are to talk about the support we are expecting from the US, we want to create a new energy infrastructure and find solutions to deal with hybrid threats,” said Candu spoke. Reminder: Andrian Candu is on a working visit to the US and, within it, which will last until December 8, the Chisinau official will meet with senators and congressmen and will offer a series of interviews in the US press.